First, a chance to help an independent wrestling referee. Daryl Lankford is 42 years-old. He’s lived in Fruitland, MD, since 1998. Daryl was a referee for various local independent professional wrestling events around the Philadelphia, New Jersey, Delaware and Virginia areas, including Dynamite Championship Wrestling and Women Superstars Unlimited. Most recently, he worked for a local company which specialized in transporting the disabled to and from their various appointments. In June of 2015, Daryl was declared unable to continue working. Daryl’s next step was to apply for federal disability. From his first disability application until today, his bills have piled up to alarming levels. To maintain his residence of 18 years, Daryl has used every resource offered through Social Services and several charitable organizations in his county. While Daryl receives a temporary disability check and food stamps each month, the reality is that these funds are only a fraction of his previous monthly income. After cutting out every non-essential service and expenditure, there’s still the mortgage, medical incidentals, etc. in addition to his regular monthly bills. In January of this year, Daryl was diagnosed with cancer. While his cancer is treatable and the prognosis good, a real tragedy would be for Daryl to beat cancer yet lose his residence. It would be tragic because a scenario like this is so preventable. Daryl has consulted with attorneys in his ongoing Disability application and is also considering relief through bankruptcy. The hope is that bankruptcy can be averted after a successful GoFund Me campaign. Today, Daryl is still a positive person, but he’s been worn down by worry and stress. Since his cancer diagnosis, Daryl has been heavily depressed, trying to keep a positive mental attitude while staying one step ahead of creditors. It doesn’t help that Daryl’s become very nervous at the prospect of being homeless at this most crucial period in his life. Daryl needs your help, now. Today. Please, if you’re unable to help today, tell 2 friends about Daryl. 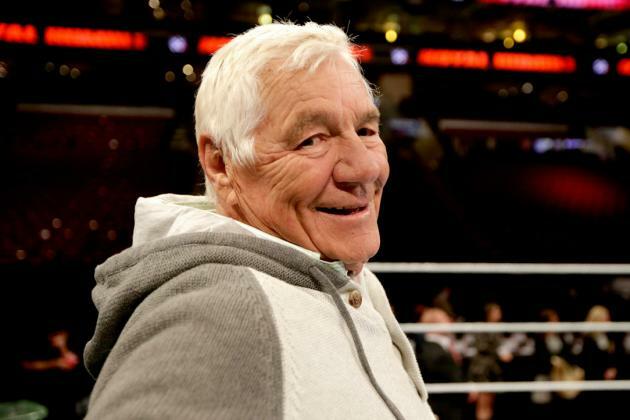 Then, on August 9, ECW Press (with the cooperation of WWE) releases “How the First Gay Superstar Changed WWE”, the biography of Pat Patterson. Readers of this blog know how significant a role Patterson had in WWF/E’s success as longtime booker and inventor of the Royal Rumble idea. 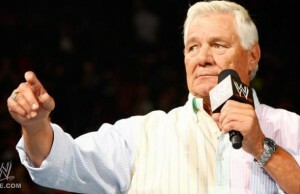 It’s not any secret that Pat Patterson was gay. 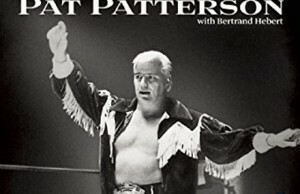 Hell, Patterson being gay was a staple for veiled on-air jokes by Gorilla Monsoon and Bobby Heenan for years. As recently as three years ago. Bret Hart used it as an on-air joke (though the two have been longtime friends). I always told my family when I was competing, but they never came to see me. I wished they had been there just like they were when my brother was playing hockey. The first time my parents saw me in the ring was many years later in San Francisco. It was quite the shock for them as I picked them up in a Cadillac and brought them to my big house. My mother kept crying in the car because she had never before even sat in a Caddie. And she could not believe my place was actually my house. 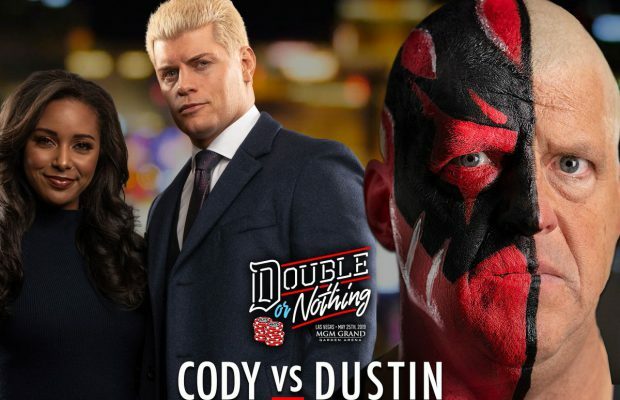 I was headlining the Cow Palace, the Montréal Forum of San Francisco, at the time … But there I go again, getting ahead of myself…. The reality, too, was that on a personal level I still really didn’t know who I was. I’d tried going dancing with girls like any other boy, but I knew almost from the start that it wasn’t for me. I never knew why, but girls just weren’t doing it for me, even if I found them cute. I had a friend in my class who was gay. At the time, he knew where the gay tavern was, so we started going there Friday nights. When the waiter spotted us, he told us we were too young, but then he told us to be quiet and sit in the corner. I don’t know why he didn’t kick us out, maybe because he wanted to help. It was quite the sight — everyone in there was cruising me. I was a good-looking young man. After going a few times, I finally met a guy my age — I must’ve been 16, closer to 17 — at this tavern. As they say, he was very good-looking, too. We started talking and one thing led to another. He brought me to his place because his parents were out of town. It was incredible, and I felt so good afterward. There was tenderness and affection. We were just two people, together, sharing their feelings. It was a strange sentiment. In fact, I couldn’t think straight anymore. I got back home around 1 a.m.; I had missed my curfew, so every door was locked and I had to ring the doorbell to get in. I knew I would wake up everybody but I didn’t care. My dad was doubly pissed — because I wasn’t home on time and now I’d woken him up — and my mom tried to play peacemaker. While I wasn’t completely drunk, I was still floating on the alcohol I’d had plus the incredible evening I’d experienced. That’s when, with the alcohol helping me muster my courage, I completely opened up. This was the turning point. I’d wanted to leave home for the circus but hadn’t had the guts. I knew I had to get the hell out and the sooner the better. My mom ended up winning that argument and I was allowed to stay a little longer, but I had learned that Dad was not ready to share this with me. Things would get smoother as the years went by, but I was in New York before we truly spoke about that night again. So take a look at Patterson’s bio when it comes out next week. You might be surprised at what you learn.